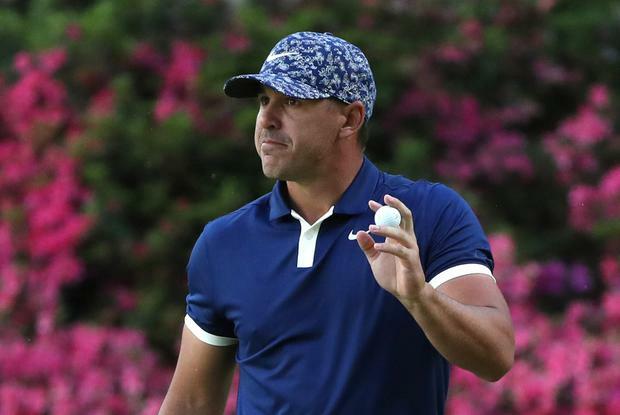 Koepka revealed on Tuesday that he underwent tests following the Players Championship and that he has not been in the gym in three weeks following an intense workout schedule and diet that left his energy sapped. The 28-year-old said that was as a result of a diet that limited him to 1,800 calories a day, with rumours circulating that it was undertaken in advance of a magazine photoshoot. Golf Channel analyst Brandel Chamblee was strongly critical, saying: "For him to change his body and his body chemistry for vanity reasons for a vanity shoot is the most reckless self-sabotage that I have ever seen of an athlete in his prime." Koepka has not confirmed the reason for the diet but said: "Well, I lift all the time. I lift too many weights and I'm too big to play golf. And then when I lose weight, I'm too small. So, I don't know. I don't know what to say. "Listen, I'm going to make me happy. I don't care what anybody else says. I'm doing it for me and obviously it seems to work." Koepka shares the lead with compatriot Bryson DeChambeau and is chasing a remarkable fourth major title in seven starts after following back-to-back wins in the US Open with victory in the 2018 US PGA. "I'm super aggressive at a normal event and that kind of backfires sometimes," Koepka said. "But at a major I kind of let things brush off my back a little bit easier. "In a normal event that three-putt (for par) on eight really would have drove me nuts. I would have been sitting there for probably five minutes trying to figure out what I did wrong. But I just let things go a lot easier in a major."